We’ve found another great reason to visit Northland and its nothing to do with sunny days, beautiful beaches, exquisite wine, excellent golf or amazing scenery. Nope. We are in fact referring to chocolate. 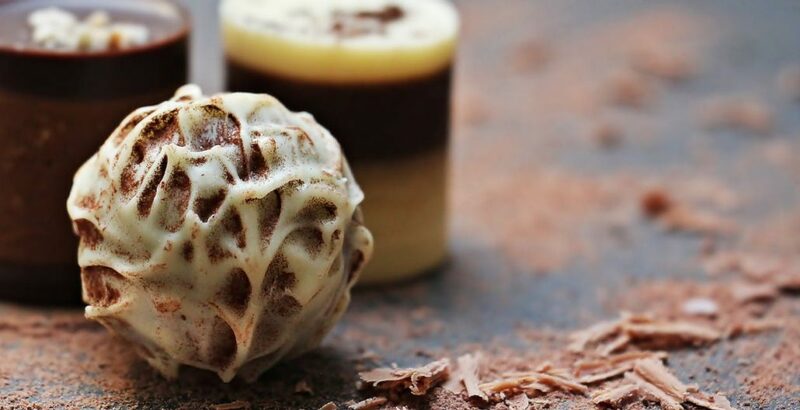 If you are serious about your chocolate then it’s time to head North and INDULGE! We’re not sure why, but chocolate is a big thing North of Auckland with around five noteworthy chocolatiers between Kaukapakapa and Kerikeri in the Bay of Islands. That’s some serious chocolate eating people which equate to a chocolate factory nearly every 42 kilometres travelled! All along we thought it was the relaxed lifestyle and warmer weather that made Northland folk so happy, but it might just be the feel-good chemicals in chocolate that’s to blame. With over 300 naturally-occurring chemicals, chocolate has phenylethylamine (sometimes referred to as the “love drug”), and serotonin (a natural mood lifter). These cause alertness, excitement, a quickening of the pulse and happiness, all very similar to the effects experienced with ‘new love’. So, if you or someone you know adores good chocolate these two chemicals will have a lot to do with that obsession. A weekend with girlfriends in the beautiful Bay of Islands where you can sight see, browse the markets, chill out on a beach, eat, drink and be merry sounds like a marvellous idea doesn’t it? Rent one of our vans or people movers from Auckland, Whangarei or Kerikeri and enjoy a few quality days together. Now down to business with a list for chocolate lovers from Warkworth, heading North. Award-Winning Chocolates where you can even watch their chocolatiers at work. Chocolate Brown also make their own fudge, licorice, and New Zealand favourites, rocky road and hokey pokey. Swiss Bliss has a tiny shop where the chocolates are made but you can also buy online or see them regularly at the Matakana Village Farmers Market. They are proud to use all organic or certified organic ingredients in their products. Locally grown ingredients with the help of local staff and suppliers help make up the award winning Bennetts Chocolate brand. Makana offers gift-quality confections including a sugar-free range. Made from top ingredients, these taste sensations do not have artificial flavourings, colourings or preservatives. Each chocolate piece is made by hand using all natural ingredients. Newport also has hampers and cigars which you can order online. This resurgence of chocolatiers proves there is a strong demand for quality cocoa-based products in New Zealand. Quality ingredients not full of sugar and artificial flavourings, and a real pride shows through in this handmade craft. See our Hot Deals for specials on vehicle when renting for 3+ days.